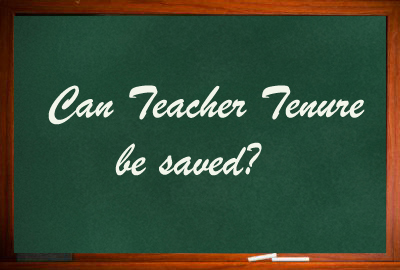 Can teacher tenure be saved? Buncombe County explores how it can protect career status for all of its eligible teachers, in spite of a state mandate requiring that 25 percent of teachers give up tenure rights this fall. Last week, Buncombe County joined a growing list of local school districts that have rejected the state’s new plan to scrap teacher tenure, formally known as career status, and replace it with four-year temporary contracts for the top 25 percent of teachers, worth annual pay bonuses of $500 for each year of the contract. But that’s not all – Buncombe County school board members also issued a directive to the district’s administration to begin exploring the creation of local due process protections for teachers who currently have tenure and for those who would have received tenure by the time of the law’s implementation. In this scenario, Buncombe County could comply with the state’s mandate that 25 percent of its teachers give up career status in exchange for temporary contracts, while simultaneously giving back to all eligible teachers their due process protections. Teacher tenure was never intended to be and does not serve today as a guarantee of a job for a school teacher – rather, it is a protection of due process rights. What that means is that if a teacher is up for dismissal or demotion, she or he has a right to a hearing by a neutral third party who would sift through the evidence to make a determination of whether or not the action was based on sound evidence. By 2018, career status will be a thing of the past for all teachers. But in the meantime, there’s a phase-out process, beginning with the four-year contracts for 25 percent of the state’s teachers that come with a pay bonus. Nearly 30 school districts of the state’s 115 have passed resolutions rejecting the 25 percent contract system. Two school districts – Guilford and Durham – have joined together in a lawsuit to challenge the constitutionality of stripping tenure away from teachers. And the North Carolina Association of Educators filed its own lawsuit late last year challenging the law as well. Educators and administrators are at odds with the law for stripping due process rights away from teachers, for its lack of clarity with regard to who gets chosen to be part of the 25 percent and because it comes with a paltry pay bump in exchange for giving up tenure. Lindsay Kosmala Furst, a high school English teacher in Buncombe County, explains how teachers at her school feel about the law. “But for those of us who are in my class of colleagues, we are roughly 30 years of age and have been in this for six or eight years, so we are basically making the starting salary —and many of us want to start families. So I’m not going to scoff at the $500 a year. I could very easily put to use the extra $30 per paycheck. But to me, it’s not worth trading those due process rights,” said Furst. There is also the question introducing a merit pay system and what it will do to collaboration among teachers. Awarding only 25 percent of teachers pay bumps introduces an element of competition into schools, which, as many educators say, is contrary to what teachers do to ensure their students’ academic achievement. “At this point in our profession, when you have been working without a salary increase for five years, there are people who aren’t willing to give up collaboration just for $30 in a paycheck,” said teacher Kristen Beller of Millbrook Elementary School in Wake County. “With fewer adults working with kids these days, you have to get really creative. We have to do a lot of teamwork. So when this law was passed, educators said they [lawmakers] have no idea what we do. Because all teachers work really hard to creatively collaborate with fewer funds,” said Beller. “At the same time, there is a level of desperation going on when teachers are working two or three jobs. Introducing merit pay will destroy morale and destroy collaboration,” said Beller. There is a body of research that suggests merit pay for teachers doesn’t work. A handful of other states and the United Kingdom have tried merit pay with little-to-no success. New York City’s merit pay program came to a halt when researchers at the RAND Corporation found the program did not raise student achievement in mathematics or reading in any grade, nor did it improve teacher job satisfaction. The findings led to the city’s decision to eliminate the program in 2011. New Jersey Gov. Chris Christie has recently tried merit pay in Newark schools, thanks to a large grant from Mark Zuckerburg, founder of Facebook. 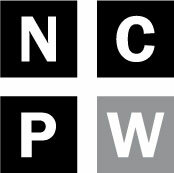 Newark’s teachers received far less in merit pay than what was initially promised, though. Ultimately, only 11 teachers actually received the top bonus that was promised. During the past week, Governor Pat McCrory has twice made remarks indicating that he plans to take a second look at the state’s new law. “I share some of the concerns expressed based on the implementation of the rule. The intent of the rule is very good — the implementation process needs to be more clarified,” he said. No details have emerged about what McCrory or legislative leaders plan to do in the legislative short session, which begins this May, to respond to the outcry of educators and advocates who oppose the new law. Kristen Beller, the Millbrook Elementary teacher, said she had heard about Buncombe County’s interest in offering its own version of career status to teachers, and has also heard rumors that Wake County is exploring ways to do the same. “We have to offer contracts, but the state has said the contract doesn’t have to read a certain way – so maybe Wake County can work due process protections into its own contracts offered to the top 25 percent,” said Beller.